We really worked the legs and abs today in CrossFit. 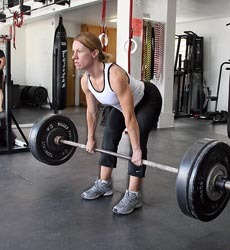 The strength training was the Front Squat and the conditioning was a combination of Squat Cleans, Stiff Legged Dead Lifts (SLDL), and Knees-to-Elbows (K2E). I’m really happy with my ab strength progress (been practicing every week), since I was able to knock out 15 K2E with proper form very quickly today. Practice, practice, practice to overcome exercises that challenge you! 5.3.1 Bench Press today was week 3 of the cycle, so it was max weight. 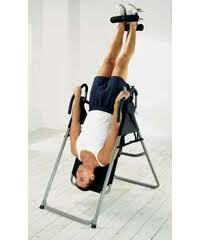 Inversion table for a few minutes to stretch out my back.